This is a sponsored post written by me on behalf of Campbell’s Soup Company for IZEA. All opinions are 100% mine. This post contains affiliate links. It’s football season – hooray! That means games several days a week and on Sundays, dedicated “game food” to serve to my tribe. I love it when all of our boys are here and they decide to watch the game with us (as opposed to going someplace else to watch.) The more the merrier, so I don’t mind if they have their friends in tow… just as long as they are here. 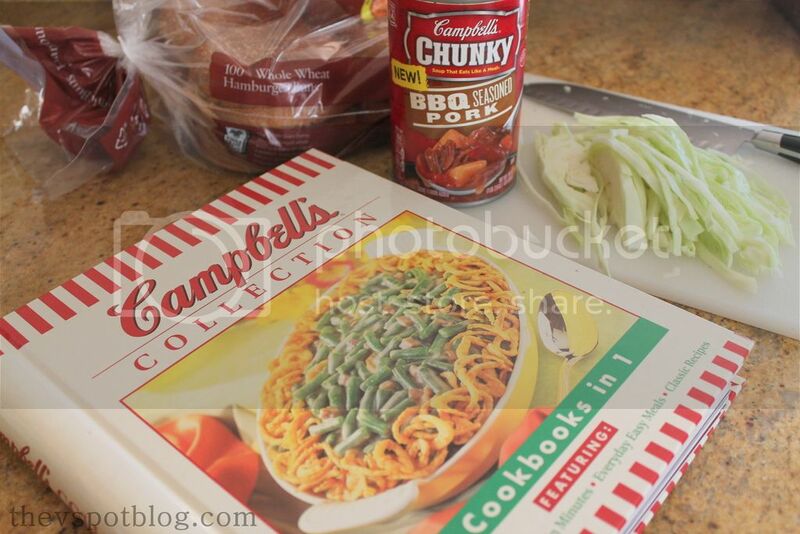 We have long been fans of cooking with Campbell’s soups. Good grief, in the days before Pinterest or the Food Network, this Campbell’s cookbook is THE only reason a decent meal was ever produced in my kitchen! However, this is the first time I have ever tried something like this, and it is pretty darn good. 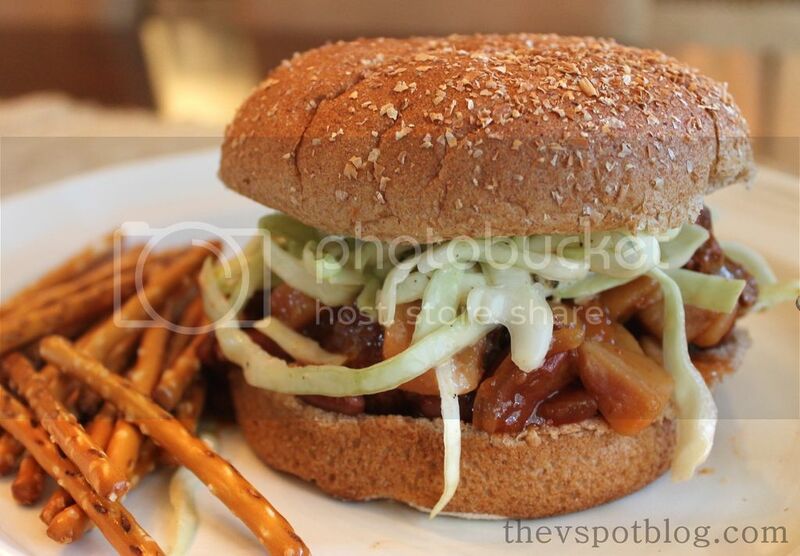 In about 3 minutes I was able to make BBQ pork and spicy coleslaw sandwiches that my guys loved. Top it all off with some creamy spicy coleslaw. 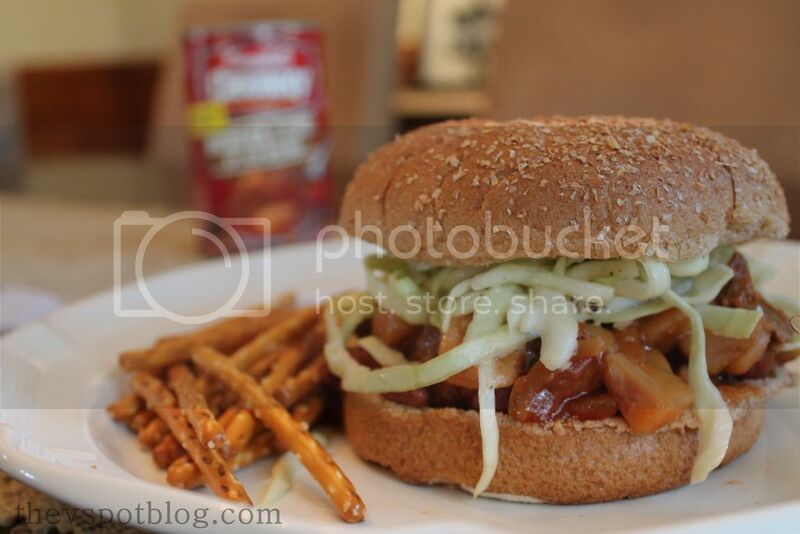 I make a yummy chipotle lime coleslaw and it was a great addition to this quick and easy BBQ pork sandwich. Using soup. Who would have thought!? This is so easy and was a big hit. *Make sure you use a slotted spoon, or you will need to eat this with a knife and fork from the beginning! Click here for more delicious Campbell’s recipes. Do you have any game day hacks you love? Tweet them to @CampbellsChunky and share those tips with the rest of us! Happy fall!